Sandesh 1963- 1964 free book pdf file. My little friends, now I'll share with you an old but real gold magazine, you want to know what is the name of magazine, yes my friends it is Sandesh patrika and its edition in 1963- 1964. 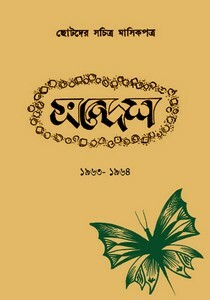 Too old, It was an Illustrated Monthly magazine for children and editors of the patrika was two prominent person- Lila Majumdar and Satyajit Roy.